How a child learns early in life will affect him or her later. That is why the selection of a kindergarten is important to your child’s mental and physical well-being. Making this choice is not always easy for parents as they want to provide what is best for their children. Therefore, you need to scrutinize your choices carefully and also learn a bit from your children in this respect. You can often make a decision for a kindergarten school in Bangkok by noting your child’s reaction to the program, teachers, and other students. Children are a good gauge as they may express themselves in certain ways. Whilst you may like a program, your child may have another idea about the program and teachers. Children, when they are little, have this added intuitive sense that tells them if an adult is good or bad. That is why you need to see how your child reacts if you take a tour of a school in which you are interested. On the other hand, some children totally will trust your decision. Therefore, you need to take this consideration in mind as well. However, if your child tends to express himself or herself and lets his or her thoughts be known, you need to use this information to make a decision. When making a decision for a school, you need to review the teacher-to-student ratio. Children learn better when they can receive one-on-one guidance; they do not feel as if they are a number in a classroom setting. Therefore, you need to make sure that your child’s educational needs will be dealt with separately from the other members of the class. You do not want the teacher to consider everyone the same. Doing so can be bad for the individual development of your child. When classrooms are too crowded, teachers and students both suffer problems with communication and understanding. That is why you want to make sure that there are not too many kindergarteners in a program. Make sure that the student and teacher ratio is balanced and fair. For example, one mother noted that her child’s kindergarten class contained at least 30 students. In turn, she decided to enroll her child in another school with a smaller classroom that would be more attentive to her child’s developmental needs. You also have to see what is scheduled during the day. What activities are primary activities and what are the students doing with respect to play? After all, playing enables a child to develop, socialize, and lead a more normal life. Therefore, a kindergarten program must feature highlights that address development socially, academically, and physically. 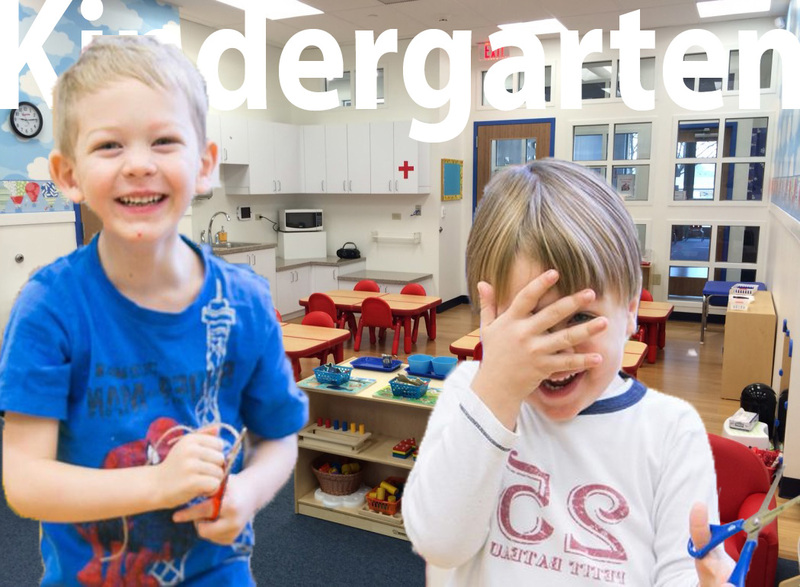 If you want what is best for your child, short-list your kindergarten choices to those schools that provide smaller classes that are more attentive and that emphasize social, educational, and physical development. Before you tour any school, go online and review the schools that are featured in your local area. That way, you will better know what to expect before you commit to an appointment.